The garment decorating industry has a lot of well seasoned consultants who can help your business be more productive and profitable. On the surface a consultant’s fee might appear high but when you look at the lifetime of experience they bring and how they can actually change your life in a matter of days, it is well worth it. 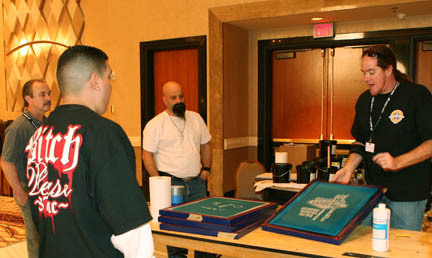 Consulting is available from the owner of Independent Print Supplies, Mike Fresener. Mike was literally born into this industry. He is an excellent printer who knows every phase of the entire process. 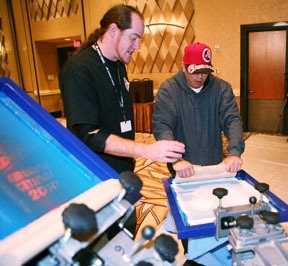 Mike taught classes at the U.S. Screen Printing Institute for a number of years and has been featured on many Videos/DVDs on the process. You can see some of Mike’s work on this site under Videos. Mike is located near Louisville Kentucky. His consulting rate ranges from $500 to $1,000 per day depending on the project. You can reach Mike at 270-681-2524 or mike@independentprintsupplies.com. Consulting at your location. Travel days will be considered consult days. Client is responsible for travel expenses and lodging.